Researchers use 3D-printing tech for dog’s skull. 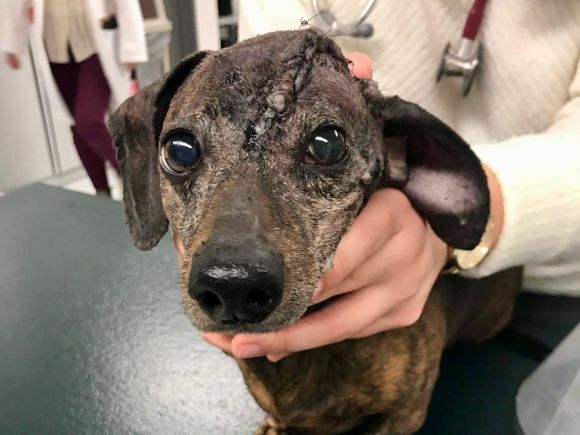 Researchers at an Ontario university have used 3D-printing technology to replace the majority of a dog’s cancer-ridden skull, a novel procedure they say marks a major advancement in veterinary medicine. Michelle Oblak, a veterinary surgical oncologist with the University of Guelph’s Ontario Veterinary College, said she believes the procedure is the first of its kind in North America and a substantive leap from one other known case. Patches’ owner said she had a tough time deciding whether to have her pet be at the centre of the research endeavour, but eventually went ahead. The new method began with a CT scan taking an image of Patches’ head and tumour, Oblak said. Using several different software programs on that image, Oblak and her team digitally cut out the tumour and disease-ridden parts of the dog’s skull. They then mapped out where a 3D-printed replacement would fit and what it would look like, complete with the location of holes for screws to hold it in place. Oblak also had to create a “cutting guide” to follow during surgery.